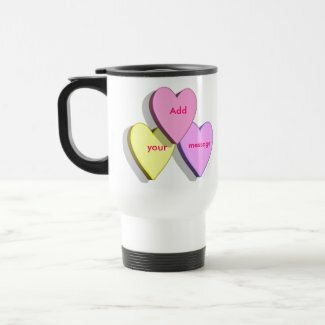 This candy heart mug template has six Valentine’s day heart candy spaces for you to add your own message. Three hearts are on one side, three hearts are on the other side. Create your own custom travel mug to keep or give away. Replace the words in the fields provided. I love my travel mug. It keeps drinks hot or cold for a long time. Despite it looking like it is made of plastic, it is actually stainless steel; the white color is an enamel paint layer. Don’t want a mug? How about a shirt? You may want to make the font larger or smaller in order to fit your message. 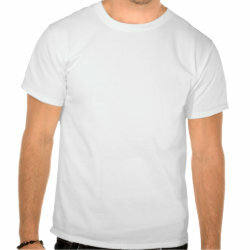 To do so, click on “customize.” This will take you to the Zazzle design tool. Click on the appropriate bar. You’ll see a white box with a number in it. Click on the plus sign to the right of that number to make the font larger. Click on the minus sign to make it smaller. 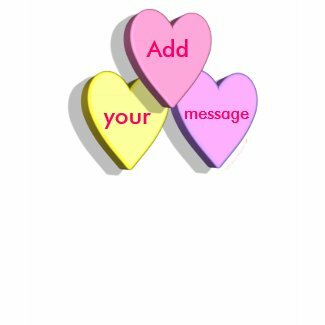 Use the arrow buttons to reposition the words if necessary. This entry was posted on Thursday, January 28th, 2010 at 8:15 am and is filed under Holiday, Shopping. You can follow any responses to this entry through the RSS 2.0 feed. You can leave a response, or trackback from your own site.